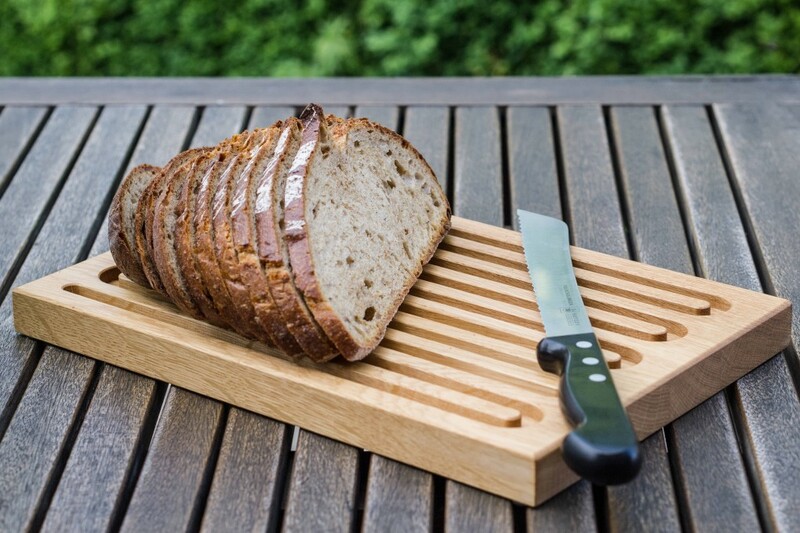 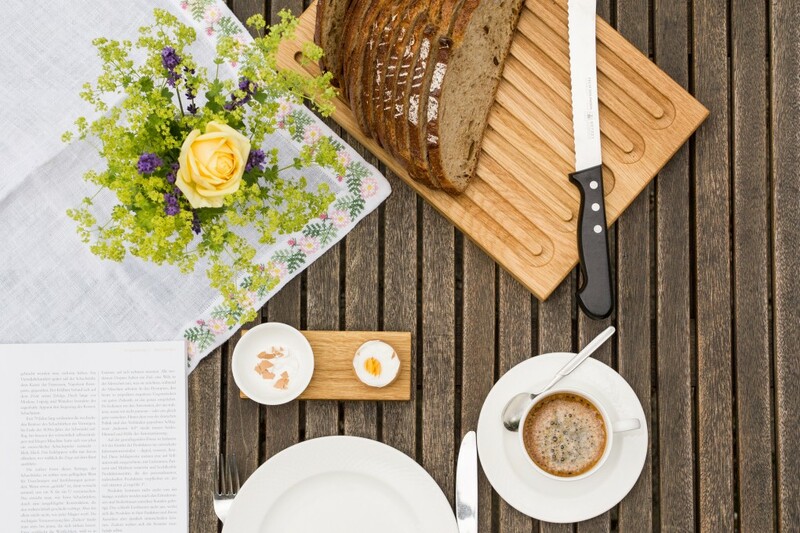 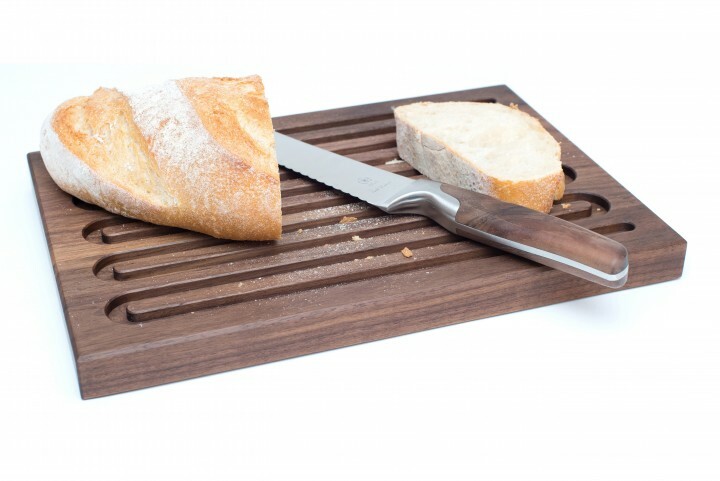 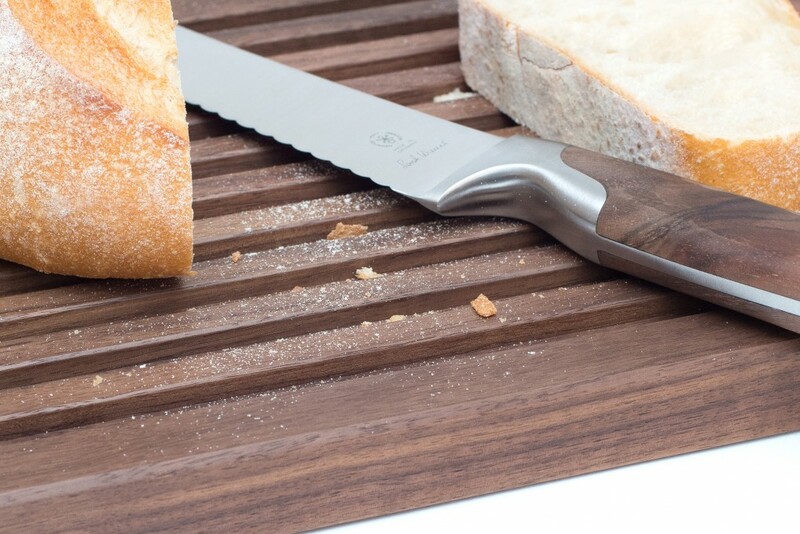 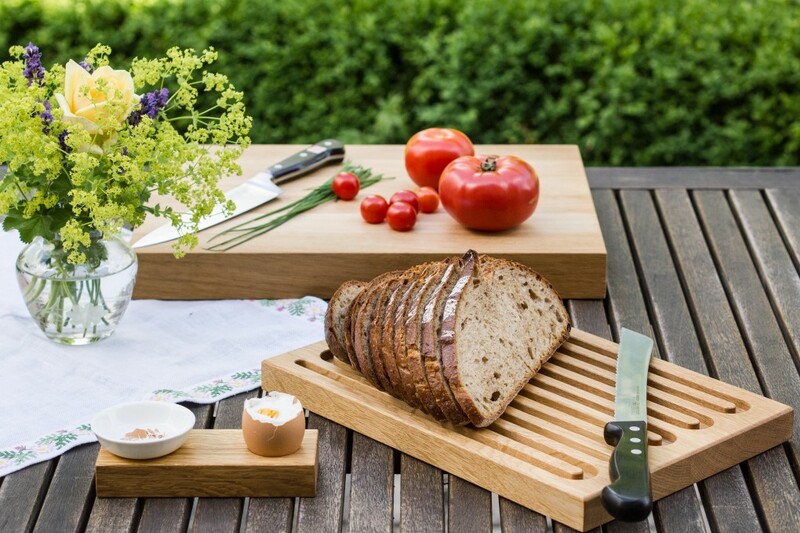 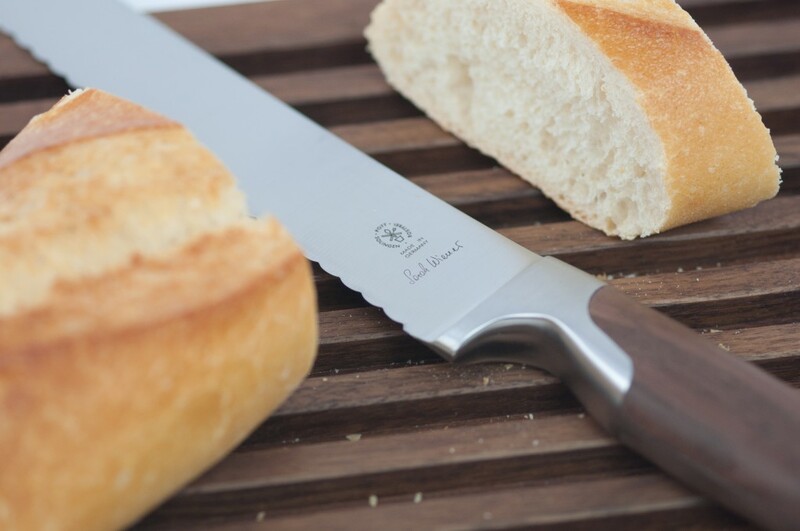 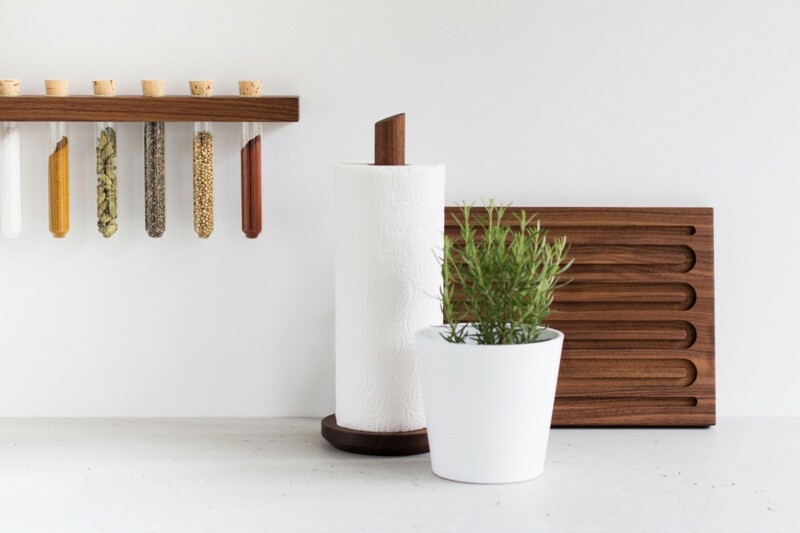 Elegance meets functionality: With this grooved bread board slicing bread isn't a messy business any more thanks to the grooves snaking through the board. 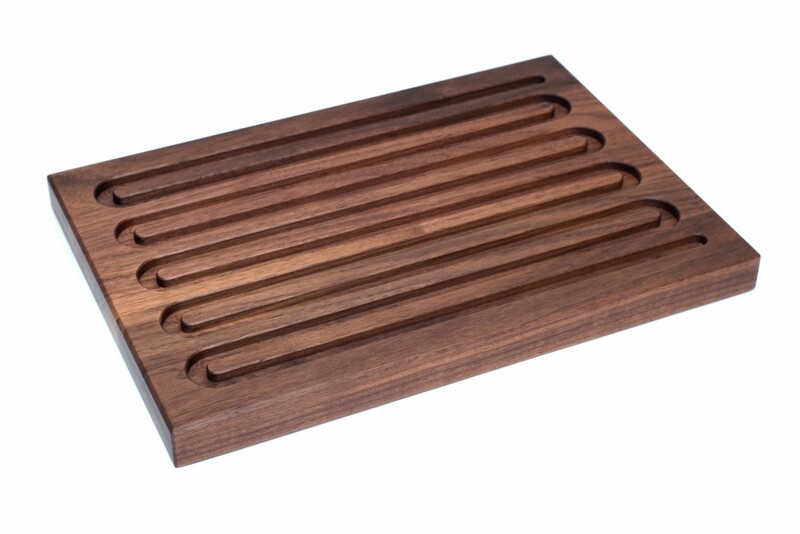 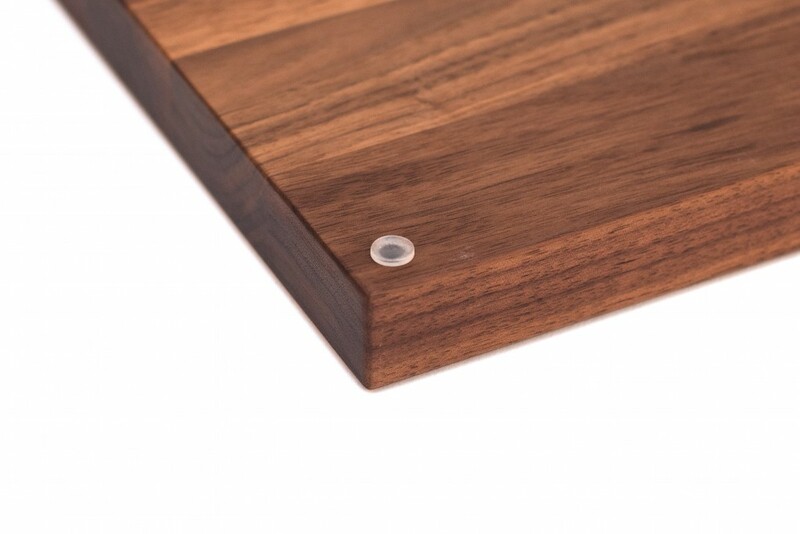 The board made from solid nut wood is fitted with rubber feet to keep it from moving around and to protect your work surface. 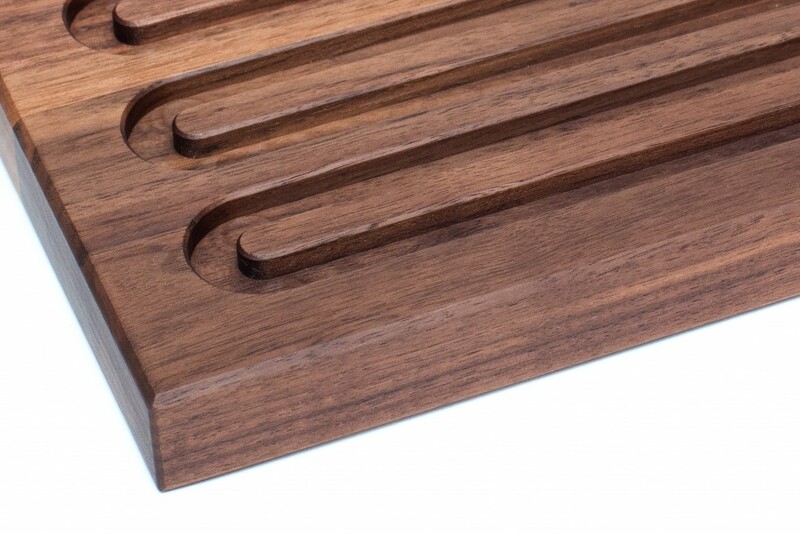 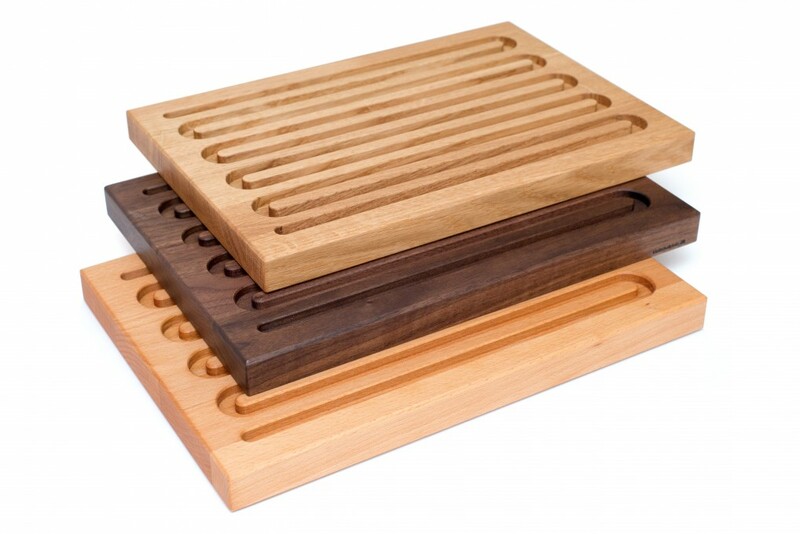 Choose between a board that was hand rubbed with food safe finish or one without for your own finishing pleasure!